Democrat Steve Glazer represents Senate District 7. This seat was previously represented by Democrat Mark DeSaulnier, who resigned from this seat in January 2015. 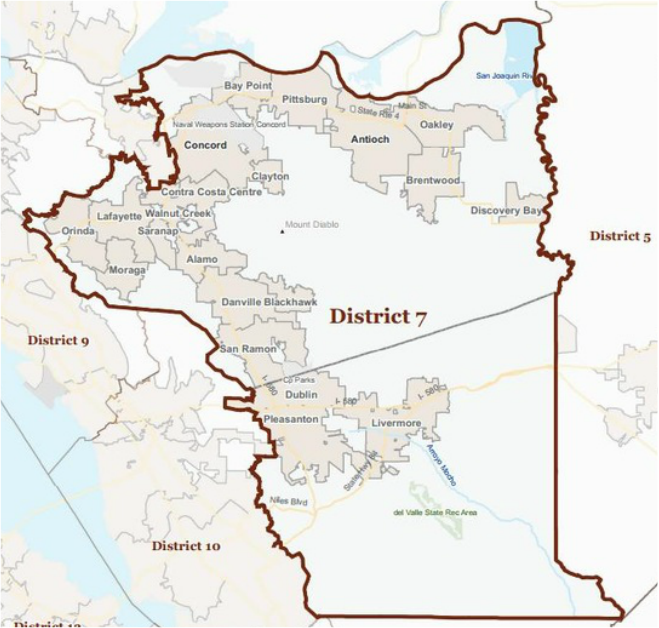 The special election featured a same-party Democrat run-off between Assemblywoman Susan Bonilla and Orinda City Councilmember Steve Glazer. Eleven years ago, Steve Glazer was shot in the neck by a high-powered pellet rifle while driving with his family. The .17-caliber projectile just missed his carotid artery and lodged next to his spine. The perpetrator was caught but never charged with a crime because pellet guns were classified as toys in the criminal code. After recovering from his injury, Steve worked with then-Senator Tom Torlakson to author legislation establishing penalties for pellet-gun attacks. This incident sparked Steve’s involvement in Orinda local government, where he won a seat on the City Council in 2004, served three terms as Mayor, and was re-elected in 2008 and 2012. Throughout his terms Steve has focused on improving infrastructure, public services, and local schools — while ensuring government fiscal accountability. Missing Children: As an Assembly aide in the 1980s, Steve created the program that placed pictures of missing children on milk cartons, grocery bags, and billboards -- an initiative credited with finding more than one dozen children. Affordable Housing: Steve organized campaigns that provided billions of dollars for homeless shelters and affordable housing, as well as residences for abused women and foster children. Open Space Preservation: Working on open space preservation measures, Steve helped permanently protect thousands of acres of California land from development. Advisor to Governor Brown: Steve served as an advisor to Governor Brown, helping him successfully tackle California’s difficult budgetary and fiscal challenges. Steve Glazer has received numerous awards and recognition for his volunteerism and professional endeavors. He currently serves as California State University Trustee and Mayor of Orinda. Steve also runs a successful small business, advising environmental, business, and nonprofit organizations.